The Drapers' Company received its Royal Charter in 1364 and is third in the order of precedence of City Companies. Originally its hall was in St Swithin's Lane, but when Thomas Cromwell was executed his City mansion became the property of Henry VIII. The king invited the Drapers' Company to purchase the site, and it was not an invitation they were expected to refuse. The mansion on Throgmorton Street thus became the new Drapers' Hall in 1543. As the cloth and drapery trade moved away from the City of London, the Company's role became less important. However, its wealth and the charitable trusts it administered meant that it continues to have a purpose, and the means to carry it out. It continues to administer its own trusts and support other charities, and the hall has remained an important centre for its work. Thus when the hall was destroyed by the Great Fire of London in 1666, and again by a fire in 1772, it was rebuilt each time. There were further alterations in the late nineteenth century, creating the building we have today. 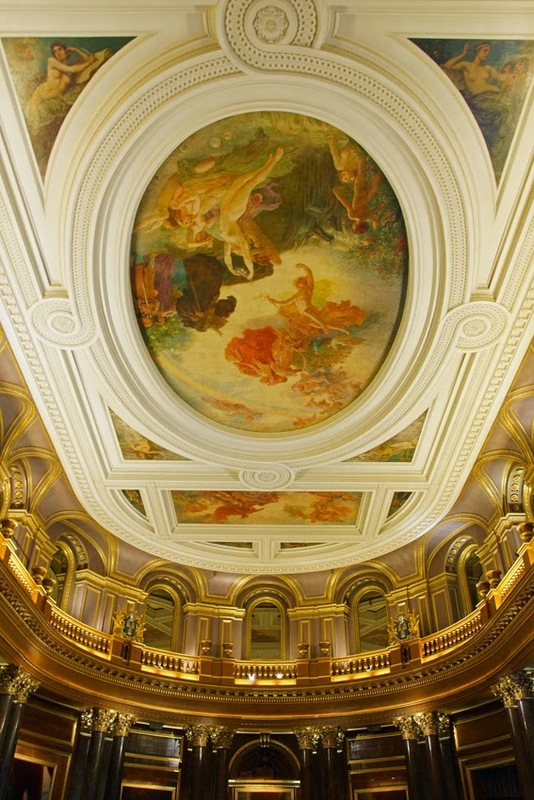 Each public room in the Hall is elaborately decorated. 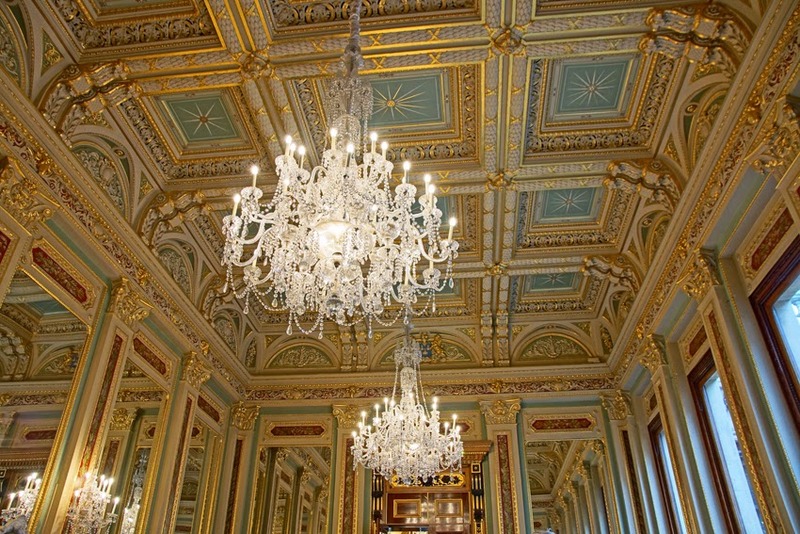 Rich materials and decorations, marble and wood panelling, painted ceilings and elaborate chandeliers abound. Decorators included famous companies such as Crace & Son and Morris & Co. 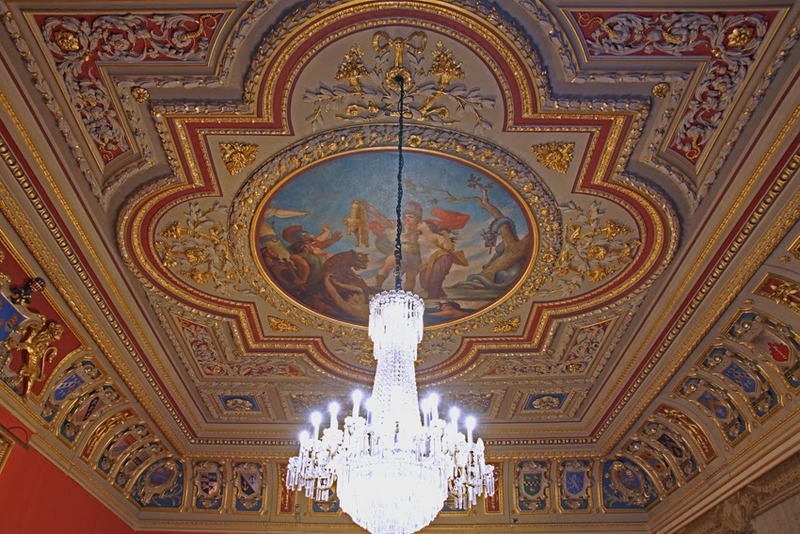 The Court Dining Room's ceiling features Jason and the Golden Fleece, a symbol of prosperity. 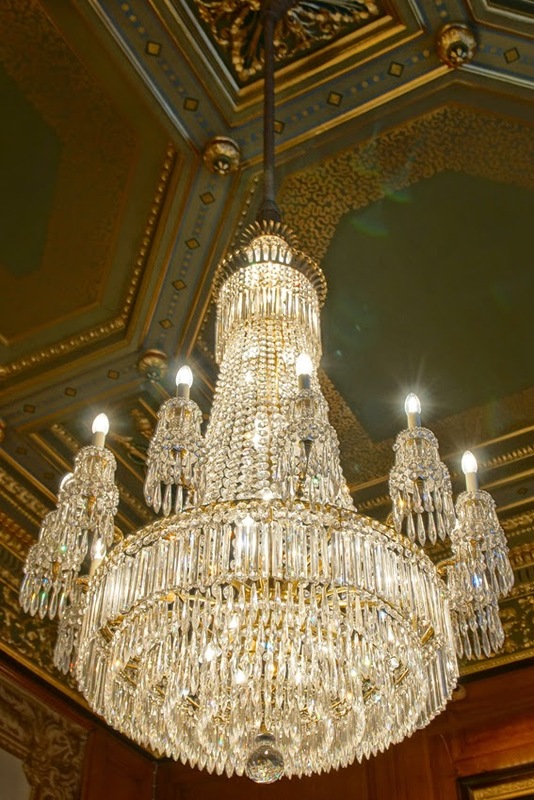 The Court Room's chandeliers are among the oldest in the building, dating from 1797. 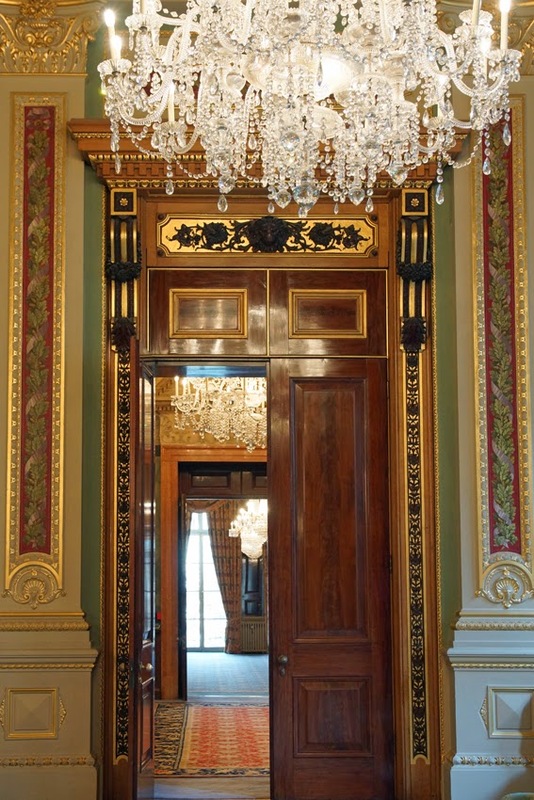 Meanwhie, the oak-panelled Corridor of 1899 has the newest chandelier - created from spare drops found in storage. 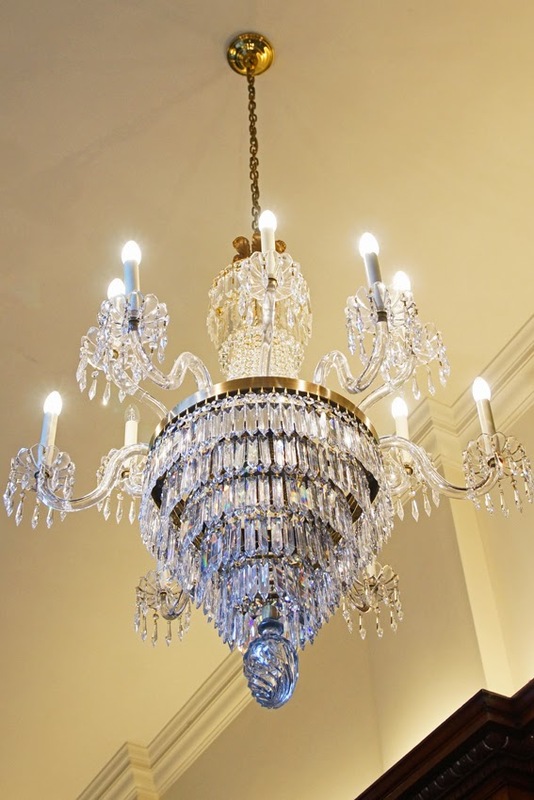 It's a particularly glamorous piece of recycling! 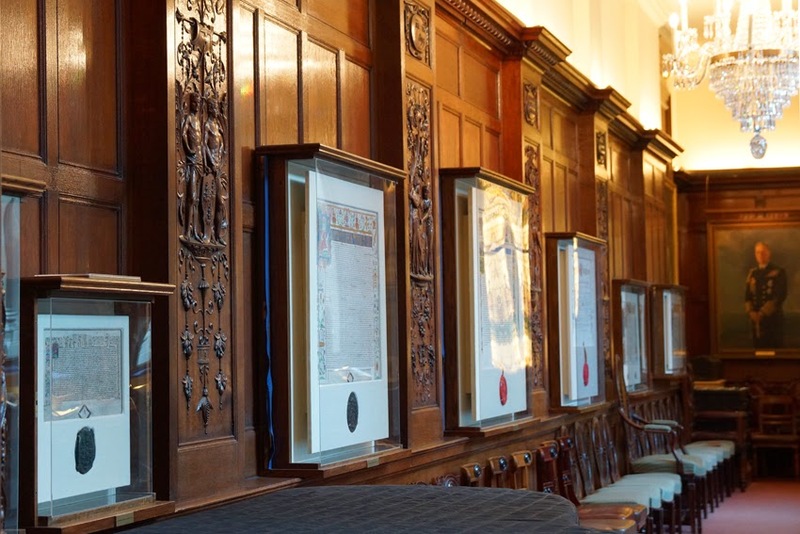 The Corridor's walls are hung with royal charters and grants of arms, the oldest of which dates back to the reign of Edward III. Perhaps the grandest room in the Hall is the Livery Hall itself, a huge room with galleries and a curving end wall. 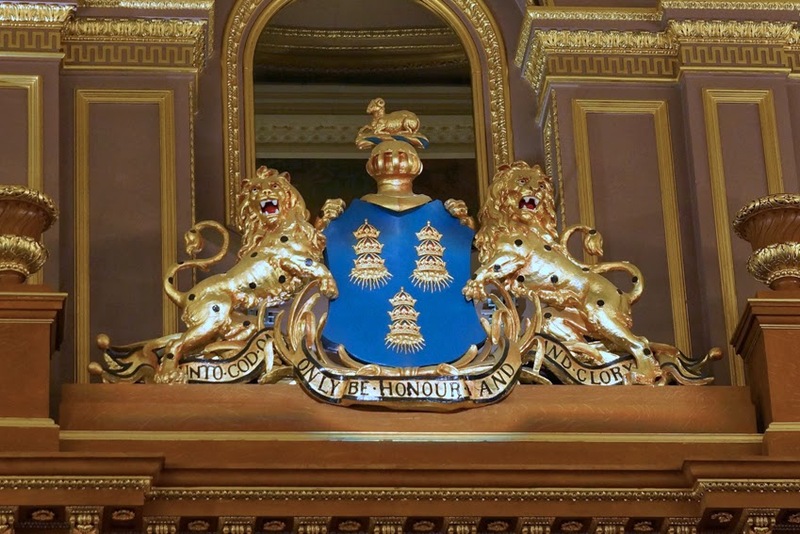 I visited with London Historians; the City livery companies are the central theme for this year's events including a forthcoming talk at the Information Technologists' Hall. Our guide was the incredibly knowledgeable company archivist, who shared a wealth of information and insight into the history of the company, the building, and its decorations and artworks. More photographs available on Flickr. The wealth accrued by the Livery Companies allowed them to decorate and furnish their halls luxuriously. And now it turns out that this has made the halls ideal "venues" for hire, thus accruing still more money for the Livery Companies. Not that I begrudge them their fabulous wealth, of course. Who would? Since they clearly sunk a fortune into this building, including its stunning marble, timber, art works and more crystal than in the rest of Europe put together, I hope they got their money's worth. After all, how much space and elegance did it take to administer its own trusts and support other charities? I hope the good drapers could at least marry off their children there, or entertain royal and noble patrons.